On this page we will explain what you will see in the path of the Royal Tombs accompanied and supported by the explanation of our operators in 45 minute visit. 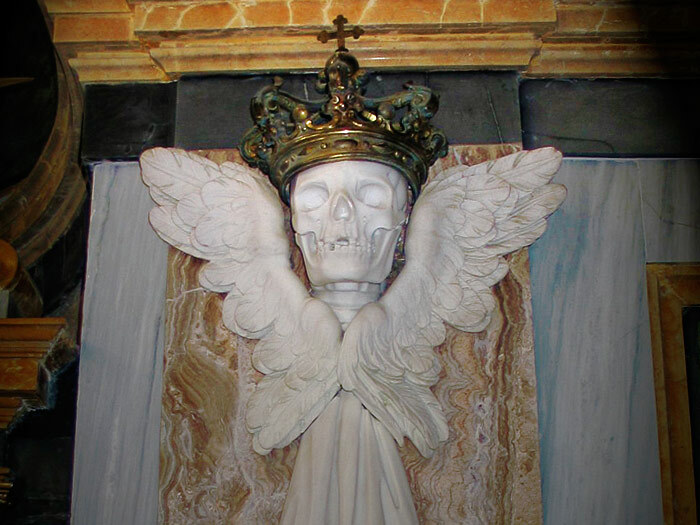 The crypt, which houses the Savoia Family’s Royal Tombs, has been built in the Basilica of Superga’s vaults by King Vittorio Amedeo III’s will, but the purpose to have a mausoleum for the Savoia Family was already in the intentions of Vittorio Amedeo II. 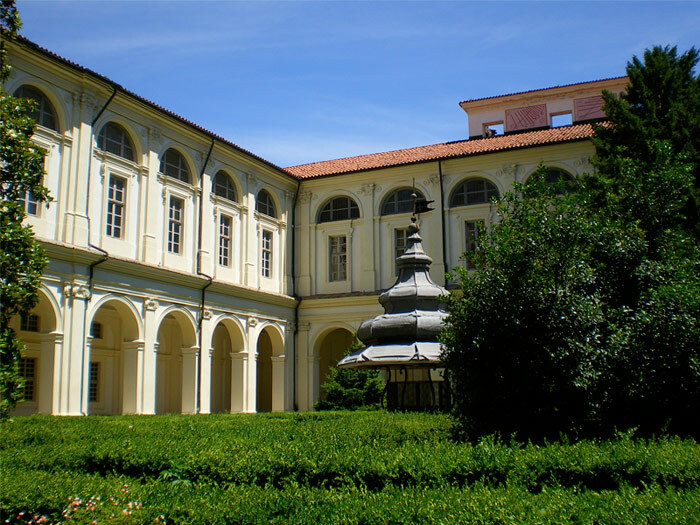 The project was assigned to architect Francesco Martinez, Filippo Juvarra’s grandson, in 1774 and was completed in 1778. The Crypt’s plan is a lengthened Latin cross and houses 62 Savoia’s House burial. 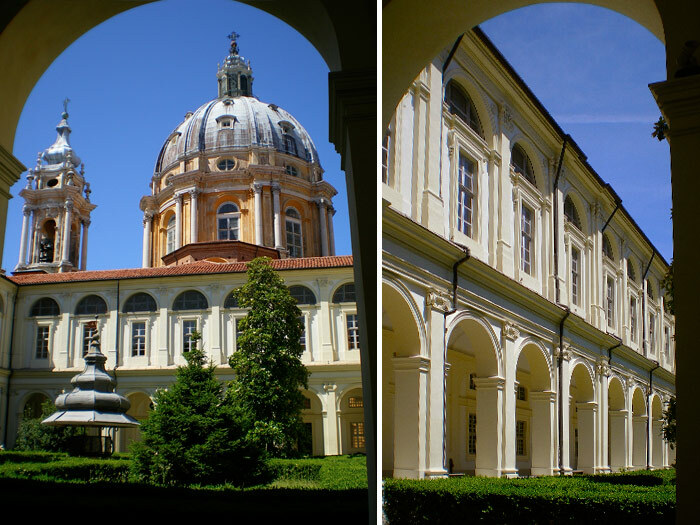 The cloister, projected by Filippo Juvarra, is surrounded by a double sequence of arches and is characterized by a beautiful Italian Style garden. The garden is decorated with box hedges disposed to create a labyrinth shaped decoration. The well, located at the garden center, is enriched by a Chinese pagoda shaped roof. The Hall of Popes was originally the summer dining hall for the 12 Fathers of the Superga’s Royal Congregation order, created by Vittorio Amedeo II, and it became a gallery only in 1876. 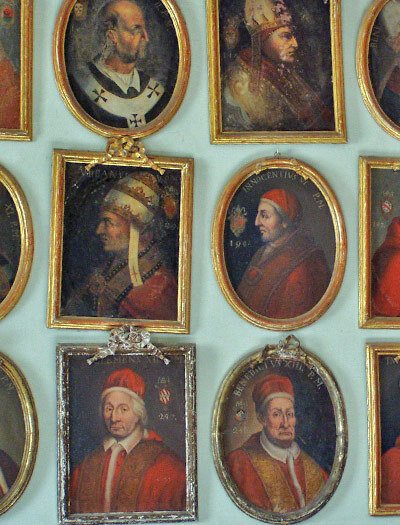 To the Fathers we owe the idea to gather the portraits of all the Popes. The inspiration came from the collection of mosaic portraits of the Popes conserved in the “San Paolo Fuori le Mura” church of Rome. The hall houses 266 paintings portraying the Popes elected by Catholic Church. On the bottom wall, under Jesus Christ portrait, is collocated the portrait of the current Pope, Francesco. The visit continues with the Royal Tombs. A marble staircase leads to the mausoleum entrance. 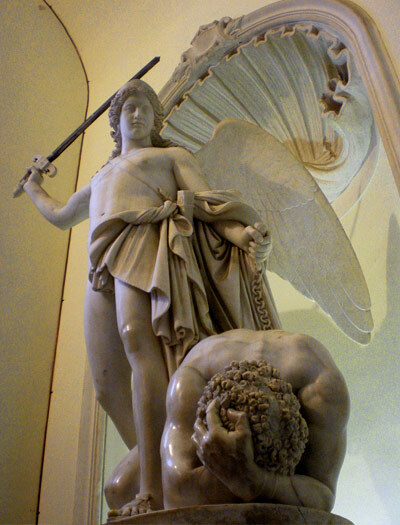 As guardian for the tombs a white Carrara marble sculpture of St. Michael Archangel defeating Lucifer is located at the bottom of the staircase. The project for the construction of the Royal Tombs is committed, in 1774, to architect Francesco Martinez by King Vittorio Amedeo II. The Mausoleum has a Latin cross shape and houses, in its center, the Sarcophagus of the King, funeral monument for the last King of Sardinia. In the lateral wings is possible to admire the Crypt of the Infants and the Crypt of the Queens. In the crypt are buried or remembered more than 60 important personalities and members of Savoy Family. 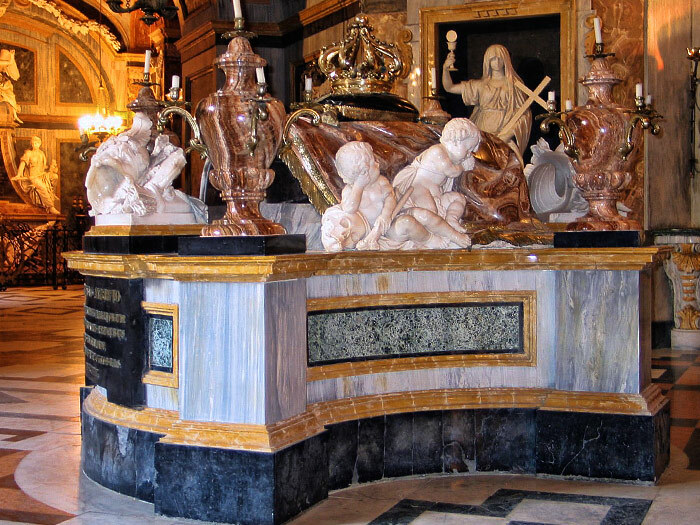 In the left wing there is the Funeral Monument for Vittorio Amedeo II, founder of the Basilica and Duke of Savoy. He is of main importance for the familiar history because he became King of Sardinia. Not far from this monument is possible to find the Funeral Monument to Prince Ferdinando of Savoy, Duke of Genoa and father of the first Queen of Italy, Margherita. Since 1849 the Sarcophagus of the King guards the body of King Carlo Alberto, VII king of Sardinia. Carlo Alberto is remembered for the “Statuto Albertino”, a sort of first constitution that he signed, transforming the Kingdom into a Constitutional Monarchy. The Sarcophagus, drawed by architect Francesco Martinez, is made in Busca Onyx and decorated with four white marble little angels by Collino Brothers. The same artists sculpted the four white marble statues of Faith, Clememce, Charity and Science collocated in the corners recesses. Backward the Sarcophagus there is the Pietà Altar, work by Agostino Cornacchini da Pistoia. The crypt was intended to house the burials of the princes who died in tender age. Presently it preserves the remains of 14 children and 9 adults, among which there is the princess Maria Clotilde of Savoy. She was surnamed the “Saint of Moncalieri” because of her deep faith, and she married Gerolamo Bonaparte, cousin of Napoleone III. It holds the remains of the Savoy Family Queens and is decorated whit many white marble sculptures. 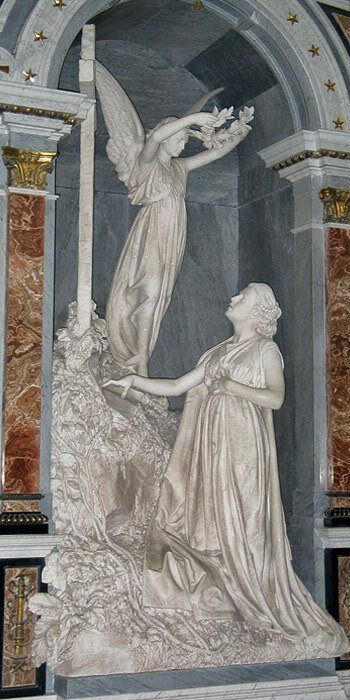 Particularly interesting is the funeral monument to Maria Teresa di Toscana – Asburgo, Carlo Alberto’s wife, an art work by Sante Varni. In the same room there is the funeral monument to queen Maria Adelaide of Asburgo, first wife of Vittorio Emanuele II. The queen, weakened by the numerous pregnancies, died when she was only 33. Although she was King of Italy’s wife, she has never been Queen of Italy, because she died before 1861. 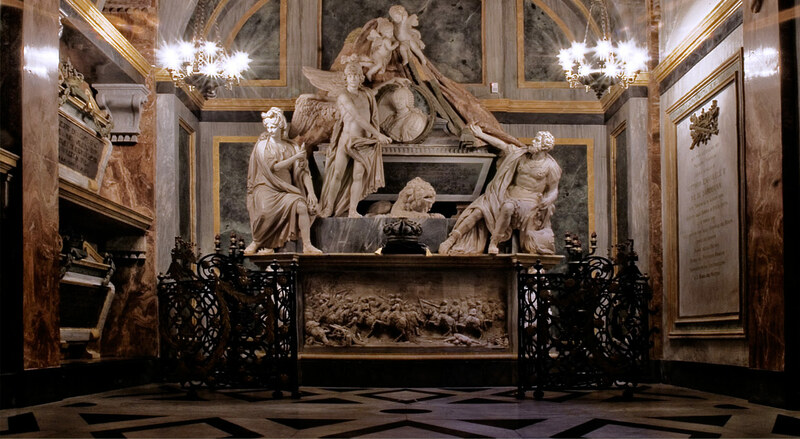 A recess decorated whit a white marble drapery by sculptor Pietro della Vedova is located over the tomb. Finally we can observe the funeral monument to Maria Vittoria dal Pozzo della Cisterna, Amedeo Ferdinando First Aosta Duke and King of Spain’s wife. 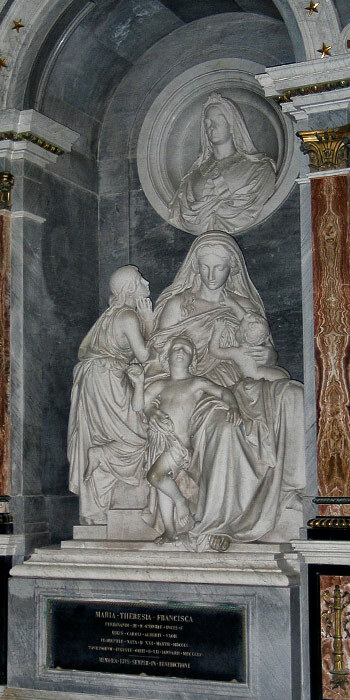 Maria Vittoria dedicated her life to ill-fated peoples, and particularly to the poor women condition. In Spain she helped a lot the “lavanderas”, the poorest women in the country, and when she died they sent her two silk roses crowns made whit their hands, which is still possible to see in a showcase over her tomb. Book your visit to the Royal Tombs!